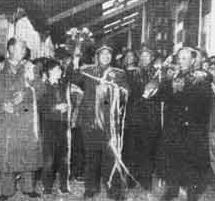 On October 24, 1958, Korean Prime Minister Kim II Sung held a state banquet in honor of the Chinese volunteer soldiers who were leaving North Korea for home. On October 19, 1950, the Chinese military volunteers crossed the Yalu River to fight together with the Korean people against the US aggressors and defend China. Their valiant efforts forced the enemy to sign on an armistice in July 1953. In January 1958, the Chinese government and the North Korean government announced a joint declaration. China decided to withdraw all its soldiers from North Korea in three waves before October 1958. 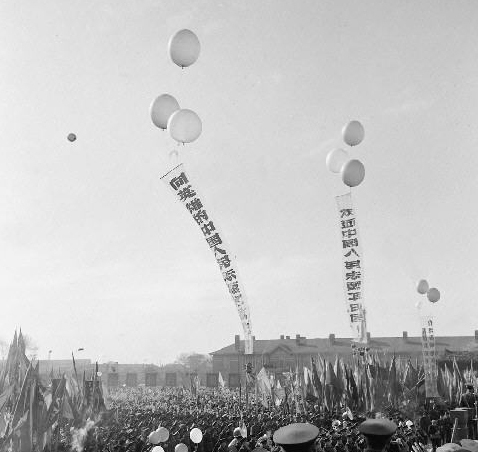 On October 25, 1958, a total of more than 70,000 people, including the headquarters, three divisions and the logistical support forces of the Chinese Volunteer Army left Korea for China.